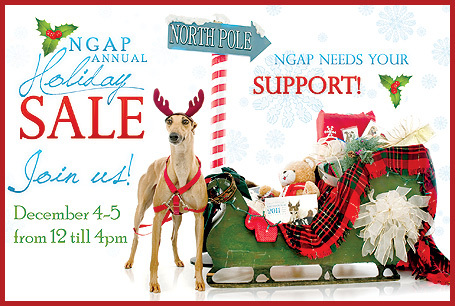 Welcome to NGAP Holiday Sale! The props are all in place next to the new clinic waiting room and we are just waiting for city inspection approval and then we can move in our store merchandise. Cross your fingers and paws that we will be allowed to move in time for the Holiday Sale. Bake 2 1/2 dozen cookies. Then share 1/2 dozen at the refreshment table. Separate the rest into four labeled Â½ dozen bags to trade. You will go home with four different half a dozen bags of cookies!! Treats such as Milkbones, jerky, etc (our recent donations have not included treats) Please do NOT bring rawhides or long chewing type of treats. Dish soap, laundry detergent, spray bottles, sponges, scrub brushes, paper towels, bleach, Q-tips and sweeping type brooms/dustpans. New soft music CDs for our dogs to listen to. We always are in need of used blankets and comforters, since our dogs love to tear up their beds!!!! We will again offer our ever-popular nail clippiug. You can sign up when you arrive. Pick up a special birthday bandana at the check out station if your dog is having a birthday in December, January or February. 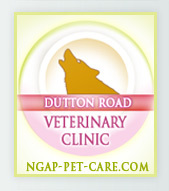 In addition to a brand new clinic with extended hours and a wonderful new staff of vets, we will be offering a selection of Nature's Variety raw frozen diets. 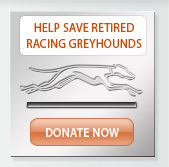 We will have a special Greyhound Sunday devoted to the benefits of feeding your greyhound a raw diet. Chicken, beef, lamb, bison, venison and rabbit - yum yum!!!! 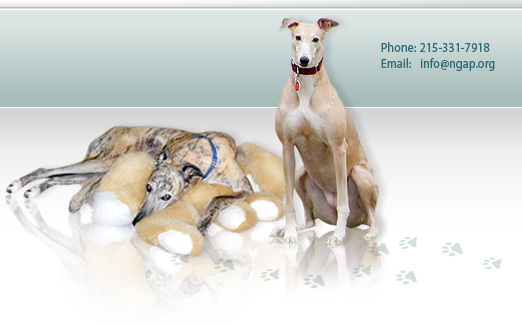 We are offering our exclusive Lenox porcelain greyhounds at $100!! On January 1, 2011 they will go back to $200.